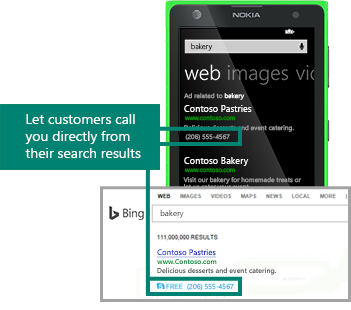 Get customers through the door and deliver greater results with these recommended Bing Ads features. Make it easy for customers to reach out to you. Target people near your store. Bring customers to your doors with bigger, bolder ads. Choose the date and times that your ads display to ensure that potential customers view your ads at the best time.